Aval Paranju: "Ente ummayude vayassinte pakuthiyanente vayasu"
"Athu ippo... Ente uppayude vayassil ninnu 5 vayassu kurava ummakku..."
"Athangane parayeela.... njangalude moonnaludeyum vayassinte total 100 aanu.."
*Aa pembarnolde vayasum etra...? * "
Here is the latest Malayalam IQ Puzzle that went viral on whatsapp & social media sites. 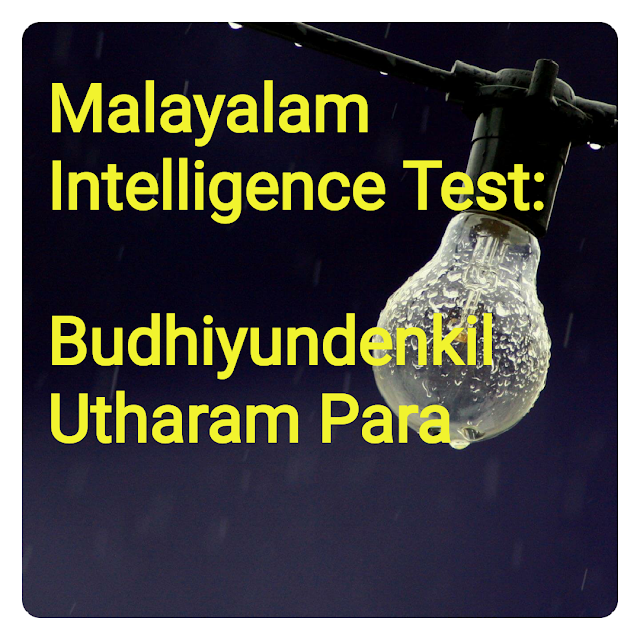 You can search for more Malayalam Intelligence puzzle in the search option within this website. Share it and challenge your friends in WhatsApp, Facebook, Google Plus and other social networking sites.